After how much I loved butter LONDON Victoriana, I just had to use it again. 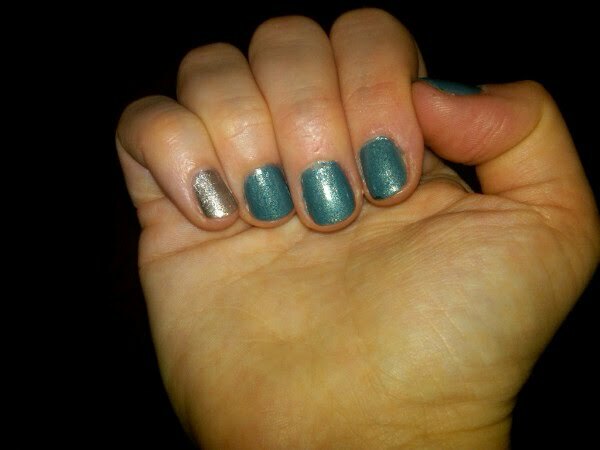 I decided to go with one accent color on each hand, using the aforementioned Wham, Bam Glam on my left index finger and M.A.C Studded (also from Riveting) on my right pinky finger. Now, Riveting's nail polishes were matte -- but I'm just not a fan of the matte look, so after applying two coats of each polish, I finished with my fave top coat, Seche Vite. What do you think of my two-toned mani? And what's on your nails this week? Let me know in the comments! sooo pretty!!! 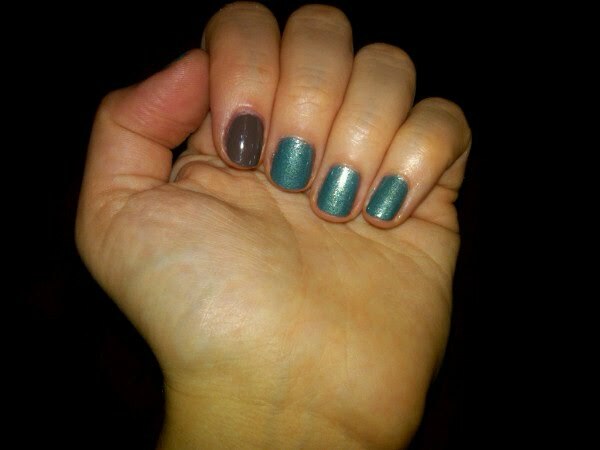 I am not one for matte either.. love the sparkle! i cannot have polish on my fingernails... (a baker), so my pedis tend to be fun... i love the mac suedes... i am sporting the blue suede with a whit and silver zebra print on the big toes... alot of fun!! have a fabulous day! I think your mani looks great! Butter London's "Victoriana" & "All Hail McQueen" are definitely on my "to buy" list. This week I'm wearing China Glaze's "Rich and Famous" with OPI's "Wing It" as a top coat.